DooMLoRD, a talented and popular hacker associated with XDA developers, has come out with a new rooting method for the Sony Xperia SP C5302 smartphone. The guide uses a one-click rooting method that’s easy to use; however, he admits that the instructions are not as precise as we are accustomed to using for other devices. Proceed at your own risk and only if you are an experienced Android user. 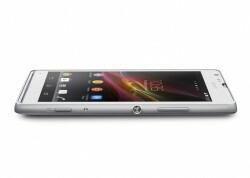 The following guide is made for the Sony Xperia SP C5303. It does work for a few different devices in the Sony Xperia range, but the developer from XDA has not done extensive testing on all devices, or presumably anything close to all devices. At this early stage, we don’t have a list. We do know that it does not work for all devices. Do not follow this guide unless you have the Xperia SP or risk bricking your device. The guide only works if your device is running Android 4.3 Jelly Bean or lower. Do not follow this guide if you updated to KitKat or Lollipop in the future. Leave that updating to the ROMs! You must have a Windows PC to use this guide. Any notebook, laptop or desktop running Windows works fine. You must have USB Debugging Mode enabled from the Developer Options menu. First check that you have the Developer Options menu available from the Settings. Those of you who do not see it can unlock it by tapping over the build number from the About Device menu. Just keeping tapping the build number until the OS tells you that you are about to unlock the hidden Developer Options. Now you can go back to that Settings menu and find the Developer Options. Head to the Settings > Security and enabled the Unknown Sources. Without the Unknown Sources enabled, you cannot install apps from outside the Google Play Store on your Android operating system. You should backup the Sony Xperia SP data before starting so that when you root Sony Xperia SP C5303, you do not lose any data. The data will not automatically get deleted, but if you need to factory reset the device, you will lose the data at that point. Download the Xperia SP rooting toolkit from here . Download the toolkit directly to the Windows computer. Connect the Sony Xperia SP to the computer with the USB cable you use for charging. Run the RUNME.bat file from inside the extracted folder. You will now get a command prompt windows popping up on the computer display. You don’t need to type any command this time. The tool will give you three different options. If one of those options doesn’t work for your device, try to use a different option. Wait for the Sony Xperia SP to boot into recovery mode during the guide. Once the flashing is done, reboot your device in normal mode. You should now be rooted!